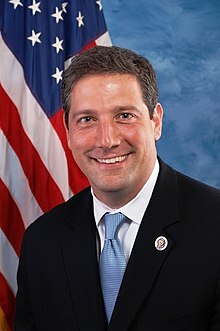 Congressman Tim Ryan read the copy of Jon Kabbat-Zinn's book that Kabat-Zinn's publishers mailed him: Coming to Our Senses: Healing Ourselves and the World through Mindfulness. A couple years later, Ryan went on a 5-day mindfulness meditation retreat led by Jon Kabat-Zinn. Five days of mostly silence, with instructional talks and guidance sprinkled in. Five days of practicing bringing attention to immediate experience -- the mind wandering off, and being brought back. Since then, Congressman Ryan has had a daily mindfulness practice. With that as prelude, let us look at congregational life. The work of a congregation, at its best, changes its members, transforms them, so that all through their lives, not just on Sunday morning, every waking hour of every day, members display a growing and deepening spiritual maturity. In addition to the transformations of each individual member, this work leads to beloved community. Beloved community doesn’t just happen because a group of people say they would like it. It takes work. We are, each of us, I believe, called to the ongoing, never-ending work it takes to grow in wisdom, in emotional intelligence, in the three R’s of resilience, reflection, and relationship. It turns out that "Mindfulness" is a handy way to sum up what is at the core of this work – in our nation and in our congregations. Tim Ryan’s book surveys the scientific studies about how mindfulness practice strengthens our capacity for attention, for nonjudgmental sympathetic understanding. He goes on to devote chapters to mindfulness in our schools: how it can increase our children’s attention and kindness. Mindfulness in our hospitals and doctors offices: how it can improve our health and our healthcare system. Mindfulness in our military, police, and firefighters: how it can improve performance and build resiliency for the military and first responders – and how, later on, mindfulness is the path for coming to terms with PTSD. Mindfulness in the workplace: how it can help us rediscover our values and reshape our economy. Alan Marlatt uses mindfulness to address our national substance abuse problems. Marlatt is the founder of Mindfulness-Based Relapse Prevention. Thousands of mental health counselors and therapists are teaching clients mindfulness to help with depression, with social anxiety, with obsessive-compulsive disorder, and other mental health issues. Midwife Nancy Bardacke, the founder of the Mindfulness-Based Childbirth and Parenting Program has found that expectant parents who learn mindfulness “develop skills for working with the stresses of pregnancy and everyday life.” (163). Others have adapted MBSR (mindfulness-based stress reduction) specifically for teens to equip teens during that very stressful time of life with “the skills they need to keep themselves balanced in a world that can be difficult and complicated for young people.” It trains the brain for resilience and cheerfulness. Oakland’s “Mind Body Awareness Project” is bringing mindfulness training to gang members. Mindfulness enables 12- and 13-year-old boys “see for the first time that it’s OK to be who they are and that they don’t have to belong to a gang to attain self-fulfillment.” (164). Mindfulness has the power to liberate us from the manacles of our own reactivity. It is reactivity that produces the polarization that we see in our nation and sometimes, in microcosm, in our congregations. Something occurs; we don’t like it; the limbic system is triggered, and we just react. Stress levels go up; the capacity to empathize goes down. This is part 2 of 4 of "Mindful Nation"
Next: Part 3: "There's Our Work"
Previous: Part 1: "A Midwestern Congressman Named Ryan"